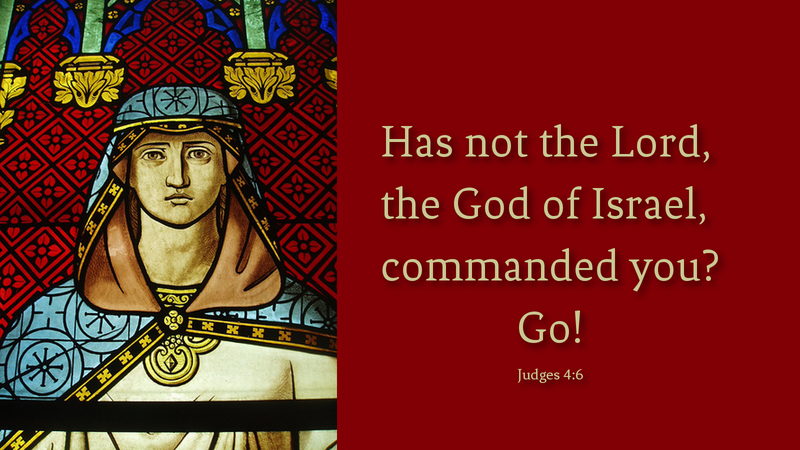 “Has not the Lord…commanded you?” Deborah asked Barak. He had delayed action even though the Lord had promised to be with him in the battle. Because Deborah then agreed to go with him into combat, Barak did as ordered. Later, Peter also wavered, denying the Lord three times. Like Barak, Peter finally entered a conflict of another sort, becoming a preacher of the gospel. Perhaps, like Barak, we are waiting for someone to go with us into the larger world. Or, like Peter, maybe we need the realization of Christ’s resurrection and ascension. If we believe the Lord to be dead and still in the grave, fear will rule the day. When we truly believe that he rose from a sealed grave and ascended to the Father, we need no more company than that of the Lord himself, who goes with us—indeed, his Holy Spirit preceding us—into the greatest battle the world has known. Prayer: Risen Lord, give me courage and strength for today’s battle. Amen.